December 1st was an exciting day for me and five other authors with whom I’ve collaborated on several box sets. Snowflakes & Snuggles released, and the six of us breathed a sigh of relief for this awesome set finally seeing the light of day. Why? Because our writing time was plagued by writer’s block, personal health problems, family health problems, and non-stop interruptions of one sort or another. None of us were exempt from some problem or the other. 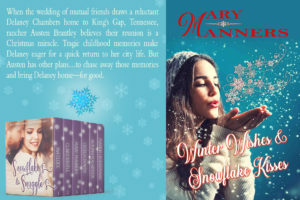 But God was good and faithful, and although released a month later than originally intended, we finished with six heartwarming Christmas romances for readers to enjoy—stories that will take you on journeys through Maine, Idaho, Tennessee, Maryland, England, South Africa, and Hungary. And, as always, tempting and delicious recipes at the back of each story…this time, Christmas treats! Perhaps some of these cookies and cakes will make it to your Christmas tables this year? This is what you’ll find to enjoy as you snuggle into the soft cushions of your sofa with your eReader while outside snow falls softly to the earth (the rest of us will just have to dream of a white Christmas). I’m including the first 200-300 words for your enjoyment, as well as a review on each book. 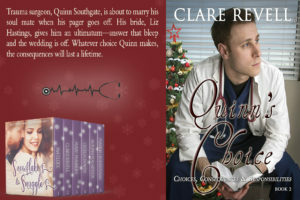 Trauma surgeon, Quinn Southgate, is about to marry his soul mate when his pager goes off. His bride, Liz Hastings, gives him an ultimatum—answer that bleep and the wedding is off. Whatever choice Quinn makes, the consequences will last a lifetime. QUINN SOUTHGATE PERCHED ON THE edge of the pew at the front of the church. Nerves as taut as a bow string knotted his shoulders, but he would not let the tension show on his face. His palms dampened and he scowled as he wiped them on his thighs. Why was he so nervous? He knew exactly what he was doing. It wasn’t as if he were walking into the Emergency Department unsure of what complications his patient would present with when he got them into the OR. Or how bad the accident was when the paramedics requested a doctor go out to the roadside. As much as he loved his job as a trauma surgeon and now ED consultant, the variables presented by each case were numerous, usually complicated, and required every ounce of God-given skill he possessed. Nor did he have some place else to be a week before Christmas. He wasn’t a shopping kind of a bloke—he’d decided years ago that gift cards were the way to go, along with the obligatory pair of socks. No, he knew exactly what was happening and why he was in church on this very wet Saturday afternoon. He was getting married. When the wedding of mutual friends draws a reluctant Delaney Chambers home to King’s Gap, Tennessee, rancher Austen Brantley believes their reunion is a Christmas miracle. Tragic childhood memories make Delaney eager for a quick return to her city life. But Austen has other plans…to chase away those memories and bring Delaney home—for good. CATAPULTING THROUGH TURBULENCE AT 30,000 feet has a way of making passengers reflect on the messiness of their lives, and Delaney Chambers was no exception. Because that’s exactly what she did as the twin engine jet made its descent toward the snow-dusted runway. The wheels hit the tarmac hard, bouncing her out of her seat despite the belt she’d cinched tight enough to stifle her breath. As the plane bumped and shivered, it hit every crevice in the pavement before the glorified tin can finally—thank every star in the heavens—sidled up to the disembarking ramp and came to a reluctant stop. The engines throttled down to a low hum before dying altogether. Delaney knew she should lift the window flap to confirm the landing, but her heart pounded so fast she needed a few deep breaths before she went into motion. She suffered from a moderate fear of heights—manageable under most circumstances—and a history of claustrophobia—beyond manageable under any circumstances. The pair proved paralyzing whenever she took to the air, so under normal circumstances she avoided flying like the Plague. But there was nothing normal about the past twenty-four hours, and no denying the need to take to the sky today. The local meteorologist’s prediction of a winter storm on the city of Chicago, complete with bushels of lake-effect snow, had made the combination of her up-to-the-last-minute work schedule and the ten hour drive from her studio apartment in the Loop to Ally’s wedding in King’s Gap, Tennessee a risk she wasn’t willing to take. When Jamal Jennings runs into his first love, Kelly Richardson, during a homeless ministry, their dormant feelings are rekindled. 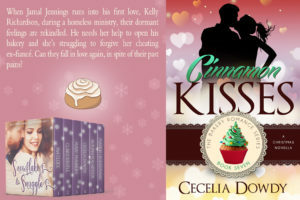 He needs her help to open his bakery and she’s struggling to forgive her cheating ex-fiancé. Can they fall in love again, in spite of their past pains? “YOU’RE THINKING ABOUT REX, AREN’T you?” Kelly’s best friend Camille stared at her across the breakfast table. She’d had a sleepless night, so she’d gotten up early and baked a loaf of cinnamon bread. 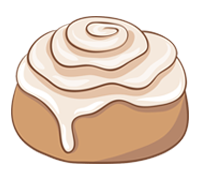 The scent of cinnamon, spices and bacon and eggs lingered in the air. They’d just finished eating and Camille had raved about Kelly’s delicious bread. Kelly Richardson gritted her teeth as she took another sip of coffee. Sixty days. That’s how long it’d been since she’d called off her wedding to Rexton Fulford the Third. If she’d not called it off, then she would have been getting married in a few days. “Camille, don’t start.” She pushed her coffee cup away and sighed. She then stood and stretched and took a few deep breaths. Goodness, she was tired. The previous night she’d kept waking up, plagued with the same dream that she’d been having since she’d broken up with Rex. She’d walked in on him kissing that woman. In each version of the dream, something different happened. Sometimes she’d slapped Rex. Other times, she’d had a catfight with the beautiful woman. Sometimes Rex begged forgiveness and she’d actually found herself looking at him, wondering if she should forgive him for his transgression. He could be her Mr. Right. Only she knows she’s his Ms. Wrong. 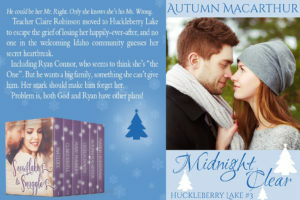 Teacher Claire Robinson moved to Huckleberry Lake to escape the grief of losing her happily-ever-after, and no one in the welcoming Idaho community guesses her secret heartbreak. Including Ryan Connor, who seems to think she’s “the One”. But he wants a big family, something she can’t give him. Her snark should make him forget her. Problem is, both God and Ryan have other plans! HEAVY BOOTS THUDDED ON THE schoolroom porch, a sound Claire Robinson recognized all too well in her second winter teaching here. Someone stomping snow off their boots before coming to the door. The likely identity of the “someone” snapped her senses to instant alert. This wasn’t Maddie, the Friday afternoon parent volunteer she’d been expecting. Ryan Connor. It had to be. No one else thumped the snow off their boots quite the way he did. Her teeth clenched, and her eyes narrowed as she looked up from the dinosaur book she’d been reading with five-year-old Jacob. Small heads swiveled toward the door as all sixteen of her elementary school students ignored the work she’d set before them and waited to see who’d appear. They’d probably figured those heavy steps weren’t Maddie’s, just as fast as she had. Her volunteer parents were always welcome. In the one-room kindergarten to fifth-grade school, with just one computer, Claire appreciated all the help she could get. Except Ryan’s. A distraction she did not need. He wasn’t a parent, and he wasn’t welcome. At least, not by her. The kids, of course, all adored Ryan. His smiling face appeared at the window beside the door, confirming her guess. His hand circled in a cheery wave. Beneath her heavy braid, the back of her neck prickled as her hackles rose. What was the man doing here? Everyday life for Dr. Melanie Kerr had consisted of happy deliveries and bundles of joy…until her worst nightmare became reality. 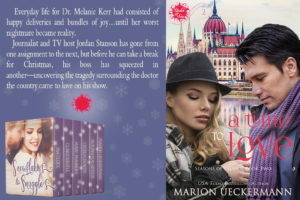 Journalist and TV host Jordan Stanson has gone from one assignment to the next, but before he can take a break for Christmas, his boss has squeezed in another—uncovering the tragedy surrounding the doctor the country came to love on his show. YOU CAN DO THIS. You’ve done it a thousand times before. The scalpel blade glinted in the harsh light from the overhead surgical lamp. Dr. Melanie Kerr tightened her latex-gloved fingers around the steel handle, hoping none of the OR staff noticed her hand trembling. She breathed in deep and raised her gaze to the swollen belly. Once she made the incision, there’d be no backing out, no going back. Not without risking a similar outcome to the last time she’d peered into a pregnant woman’s womb. “How are you doing, Sandra?” she asked over the blue curtain separating her from her patient. “N–nervous. 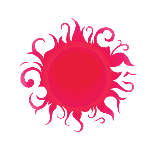 Ex–excited,” came Sandra Wilcox’s response through chattering teeth. She forced her thoughts away from the memories of that fateful night twelve days ago. Perspiration tickled her forehead as the moisture obeyed gravity. Resisting the urge to wipe away the sweat with her arm, her eyes flicked toward the nurse standing beside her. Swift to assist, the woman lifted a gauze pad with a pair of surgical forceps and dabbed Melanie’s forehead. “Thank you.” Melanie offered a smile to her team, not that anyone could see it through the mask covering her face. Probably just as well. Who could have confidence in a doctor about to perform surgery with such a wobbly expression? She moved the scalpel closer to her patient’s stomach, the skin stretched and taut. The quiver in her hand increased. Speaking of hungry…look at these mouthwatering temptations on offer in Snowflakes & Snuggles…Christmas Maple Cheesecake, Mince Pies, Mini Red Velvet Cheesecakes, Cinnamon Kiss Cookies, Pepparkakor, and Kürtöskalács (or Chimney Cake in English). 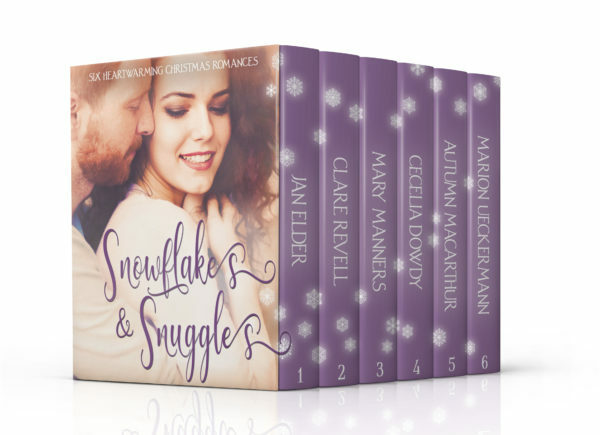 To celebrate the release of Snowflakes & Snuggles, this set of six novels and novellas is available at the special price of $0.99c for December only. Come January 1st, the price rises. So get your copy today. I will be gifting a copy to one reader who comments. This will be my last blog post for this year, so I’d like to wish every one of you a blessed Christmas and a wonderful 2018. I had been waiting for this one to come out. So many exciting stories. Thanks for the extra words/ encouragement to buy. Hope you enjoy our Christmas offering, Priscila. Merry Christmas and Happy New Year Marion. Enjoy the summer weather and your delightful grandsons. 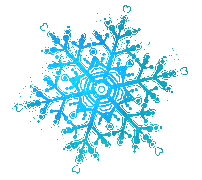 Nice blog how you as writers overcome adversity to publish a delightful story set Snowflakes and Snuggles. The weather is still unseasonable warm in SW Michigan, but yesterday afternoon I snuggled under a cover on my bed totally enthralled in my travels and reading of Jan Elder’s Almoosed Heaven and Clare Revell’s Quinn’s Choice.Thanks to the authors for a chance to travel the world through the wonderful inspiring stories. With a busy week ahead, hoping to finish the set next weekend. Best wishes. Thanks, Renate. So glad you got snuggle time this weekend with our books. I’m so excited to read these! Thanks so much for the beautiful feature. I am blessed to be a part of this collection. Yes, I’m also blessed to be a part of this collection. Such a struggle for us to get all of our stories done, but, so glad we were able to complete them for publication. Absolutely, Cecelia. Appreciate all you do to manage the set. This set sounds enticing. I’m looking forward to it. Thanks for the great preview, Marion. Marion is one of my favorite authors, and I would buy any collection just because it included one of her stories!!! This collection features such a great group of authors, and I am enjoying each of their stories! It always amazes me that these collections go for such a cheap price that they don’t seem to adequately compensate these wonderful authors. I want to thank each one of you for using your God-given gifts to bless us as readers!!!! Aw, thanks, Becky :) Thank you for your constant support. I so appreciate you. I hope and pray all our readers are uplifted and delighted by the six faith-filled and fun romances. We certainly do have a wonderful team on these sets, Autumn. Long may they last, bringing hours of reading pleasure! Thank you for the snippets from each novella. Such a wonderful collection of stories! Thank you. Hope you get to read them soon. This looks like a great collection! Thanks, Susan. We hope our readers will lo e Snowflakes & Snuggles as much as we do. Moostletoe ornament? How do you get one? Sounds interesting… I have the series on my Kindle app now! 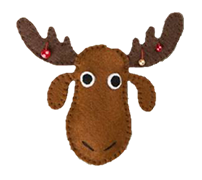 There is a link to the moose ornament under Jan’s Almoosed Heaven story. The stories look wonderful. Of course, I love Christmas stories. Thanks for this opportunity. I lovevthe preview of these wonderful holiday stories!I love happy endings and great characters! Thanks for the sneak peak at this lovely set. You’re welcome, Alyssa. Hope you get to read Snowflakes & Snuggles. Thank you. Hope you get to read our stories soon. Sounds like a great collection! Can’t wait to read it! Thank you, Laura. Happy reading! What a great collection of stories & authors! Love the variety :-) Congrats on the release ladies! Thank you, Trixi. We love working together. This looks like a fun assortment of great stories. Thanks for the blurbs all in one place! These sound great, especially the first one. Wishing you a blessed Christmas. Thank you. 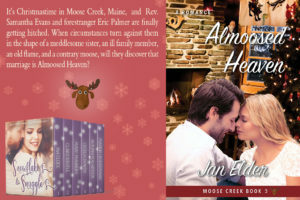 Almoosed Heaven is a great story and such fun. I love Jan’s writing. Hope you get to read the stories soon.